Shares in Dyesol (ASX: DYE) hit a high of 23 cents on Friday morning, only about 10% shy of the company’s 12 month high after the group announced that one of its partners, Solliance, had achieved a world record for perovskite solar cell photovoltaic (PSC PV) technology demonstrated on industrially applicable Roll to Roll (R2R) processes of 12.6% conversion efficiency at cell level. While the underlying nature of these achievements are highly technical, and DYE’s operations involve relatively complex technology, in essence the group is a global leader in the development and commercialisation of PSC technology. This technology is based on applying low-cost materials in a series of ultra-thin layers encapsulated by protective sealants. DYE’s technology has demonstrated lower embodied energy in manufacture, produces stable electrical current, and has a strong competitive advantage in low light conditions relative to incumbent PV technologies. Central to the company’s strategy is the development of a range of products that use and leverage off its PSC materials, NexGen technology and PV panels. 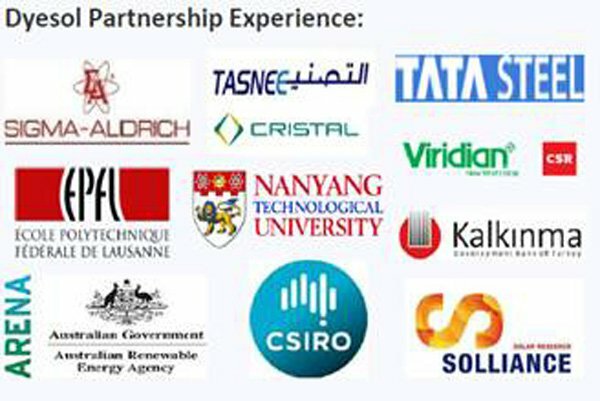 Solliance is one of a number of DYE’s high profile partners which include leading innovative Australian and international technology developers such as CSIRO, Tata Steel and Nanyang Technological University. Solliance is a cross-border Dutch-Flemish-German thin-film photovoltaics research initiative conducting advanced research on the development of perovskite-based PV modules and its applications with its industrial partners Solartek, Dyesol and Panasonic. With these results the Solliance partners have demonstrated the effectiveness of their collaboration in the development of perovskite based PV modules. 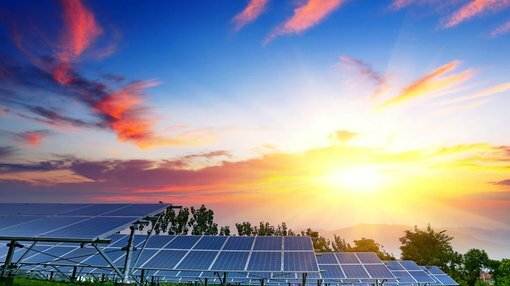 In commenting on this latest development, DYE’s Managing Director Richard Caldwell said, “Dyesol is very pleased with this breakthrough, as we are committed to developing the industry standard for R2R Perovskite Solar Cell (PSC) PV manufacturing in conjunction with Solliance, and this result is an important step along this route”. Caldwell highlighted that the pioneering work confirmed Dyesol and its partners retained a global leadership position in the industrialisation of PSC Technology, and in particular, its continuous R2R processing for flexible BIPV applications – a core element of its commercialisation strategy. Putting the achievement of this record into perspective, Mr Caldwell explained that a small, lab scale perovskite-based PV cell is 22,1%. He said the challenge is to upscale perovskite cells to larger size, industrially-manufacturable modules with high efficiency and long lifetime at low cost. He sees these 12,6% R2R up-scaled perovskite-based solar cells as a first and important step in this development, providing confidence that the group can quickly boost the upscaled perovskite based PV module efficiency above 15% by using low cost materials and processes. Commenting on some of the technical features, Program Director at Solliance, Ronn Andriessen said, “Thanks to its high power conversion efficiency and flexible and light-weight nature, thin-film perovskite PV technology is widely considered as a future key technology for the building-integrated photovoltaics (BIPV) market. He highlighted that it can be seamlessly integrated in building elements, on curved surfaces and can be made semi-transparent. Combining the industrially-applicable manufacturing processes with Solliance’s proprietary back-end interconnection process allows the creation of perovskite-based PV modules with any form and shape and any desired current-voltage output, potentially enabling customized and aesthetic integration of solar modules for infrastructure, building and vehicle-integrated PV products.